That's all from us - join us on Sunday, when we'll be bringing you live text of both the women's and men's finals. England v West Indies, what a mouthwatering prospect. Until then, goodbye. India batsman Rohit Sharma on Sky Sports: "Coming so far and not crossing the line is obviously disappointing. When we got Gayle in the second over, we thought we were very much in the game. With the dew, it always gets a little tougher for the bowlers to hit that key length. 190 is a good score, but the way T20 is going you never know, we knew they were dangerous." It was a quite scintillating innings from Lendl Simmons. Watch the best bits here. India captain MS Dhoni: "The only thing I'm disappointed about was the two no-balls [to reprieve Lendl Simmons]. Other than that we did our best. I thought 190 was a good score. It was a bad toss to lose because of the dew. It's a demanding format, it was draining because a few of our games [during the tournament] were very close." West Indies captain Darren Sammy: "We knew it was going to be a massive test against a very good India team. I said they were 10 runs short. Even when we lost Gayle, we had Simmons just off the flight. "We knew it was a chasing ground. It is a big step today we came on a mission inspired by U19 boys and the Ladies. Now we have two West Indies teams in final and I know that means a lot to the Caribbean. "We said before the tournament, yes Gayle is our best player but we have 15 match winners. Today Charles and Simmons and Russell took responsibility." Maddy Raman: I think we can be sure it won't be a spinning dust bowl in Calcutta on Sunday now India are out. Should be a cracker. Seetohul: More emotions in two weeks of t20 than 2 years of test cricket.T20 is the future.Sad but true. Stevedwhittle: Found an English pub showing the final in Brooklyn.2 things guaranteed: 1 It'll be a great match.2 I'll be needing Monday off. 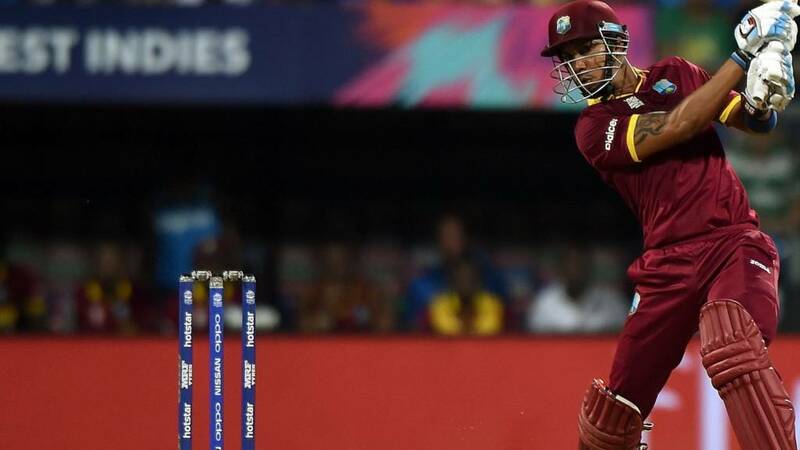 Man of the match Lendl Simmons: "I was under pressure, the team said I had to deliver and I guess I did tonight. "I think it is one of my better innings especially in a tough situation. Playing on this pitch I knew 180, 190 was a par score. "I think we did exceptionally well, we didn’t get the start we wanted and then I got three chances and I just cashed in." There we all were, thinking that Dwayne Bravo's missed run out of Virat Kohli would prove the defining missed opportunity of the match. How wrong we were. Instead, India contrived to reprieve Lendl Simmons not once, but twice, via the unforgivable medium of front-foot no-balls. How must Ravichandran Ashwin and Hardik Pandya be feeling?